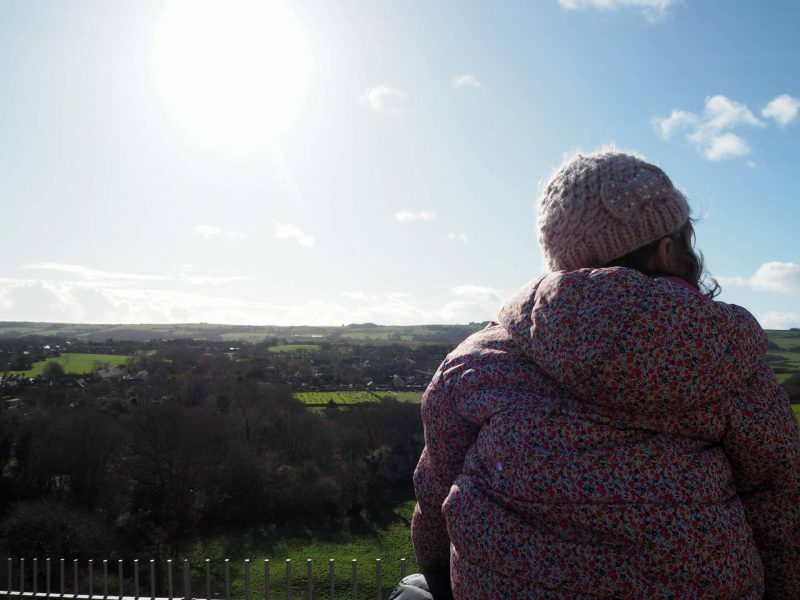 Whilst we were visiting Dorset for half term, we stayed at Caalm Camp and experienced our first time glamping. I was really looking forward to exploring an area of the country I’ve not been to before. 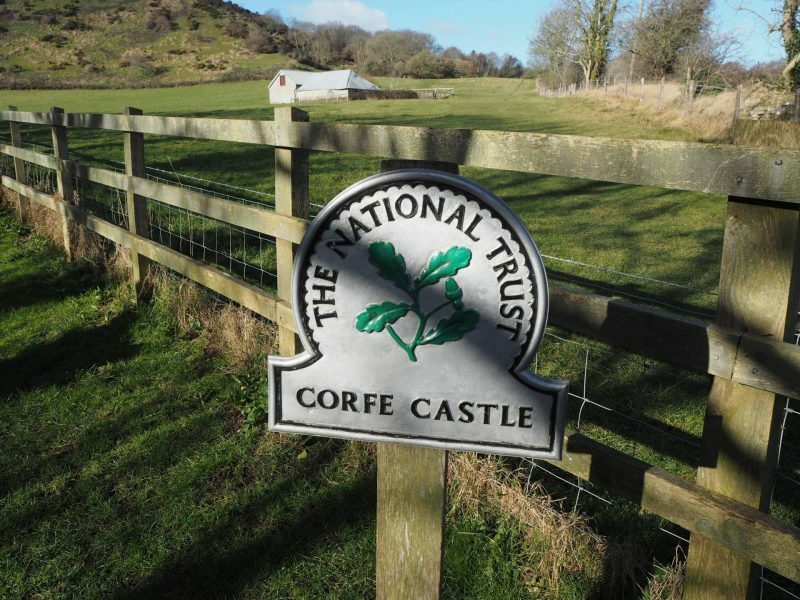 As National Trust members whenever we go anywhere we always look up the local National Trust place and I was really excited to see that Corfe Castle was nearby. We arrived and parked in the car park, which is free if your a National Trust Member. There is a small National Trust building there, with a small cafe area and a much needed toilet! 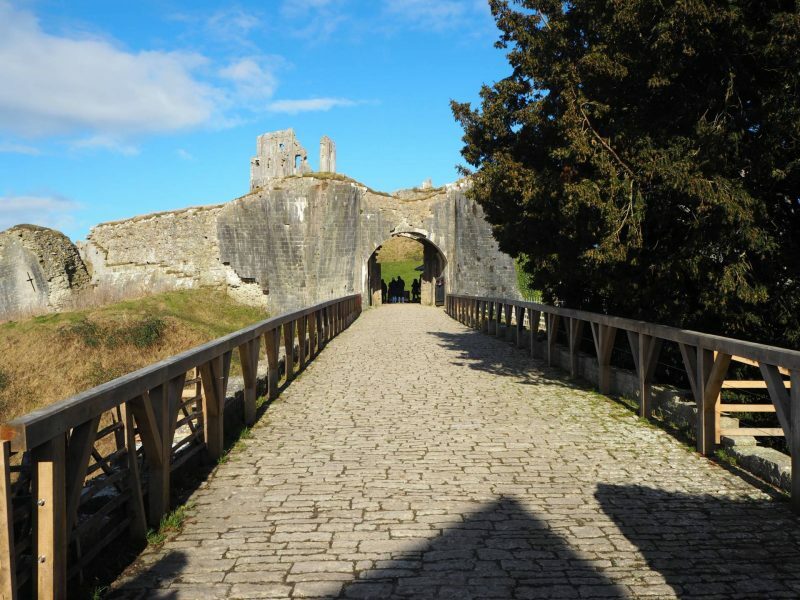 You then cross over a busy road and make the walk up to Corfe Castle. It’s quite a long walk, but not long enough that either of the girls moaned and it’s a very beautiful walk. 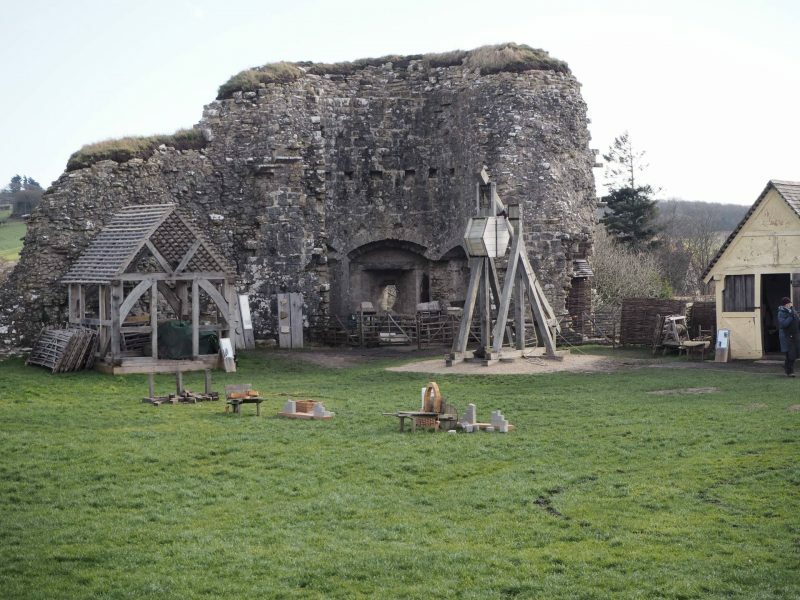 We then arrived in Corfe Village which we were not expecting. 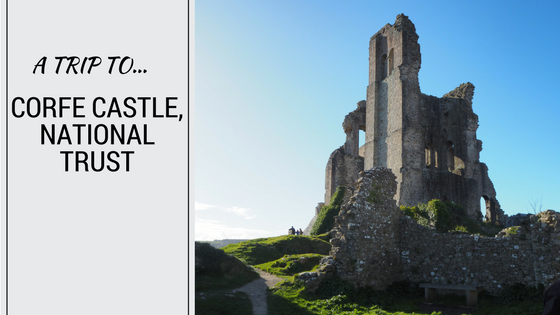 As there is much more to Corfe Castle, than just the Castle. There is a whole village to discover. 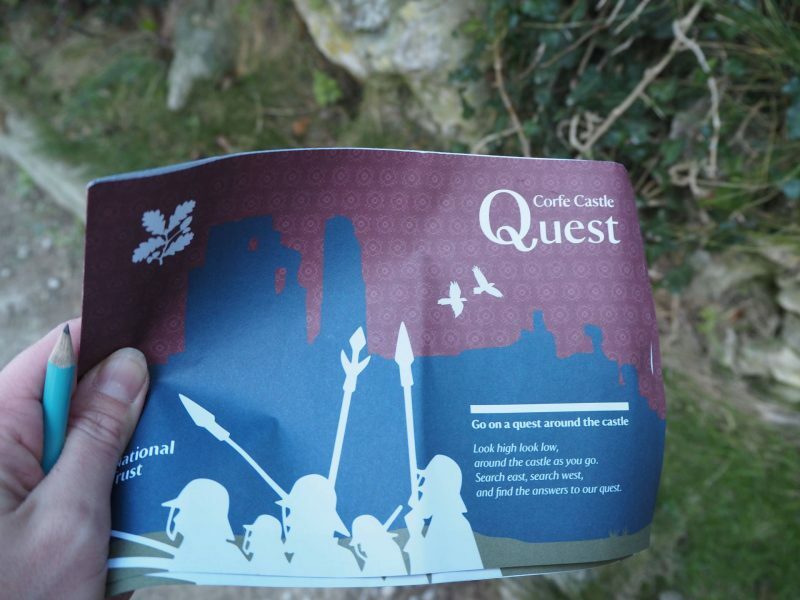 We decided to go straight to the castle, there was a kiosk where we showed our National Trust passes and we were given a map and told about what there was to do. 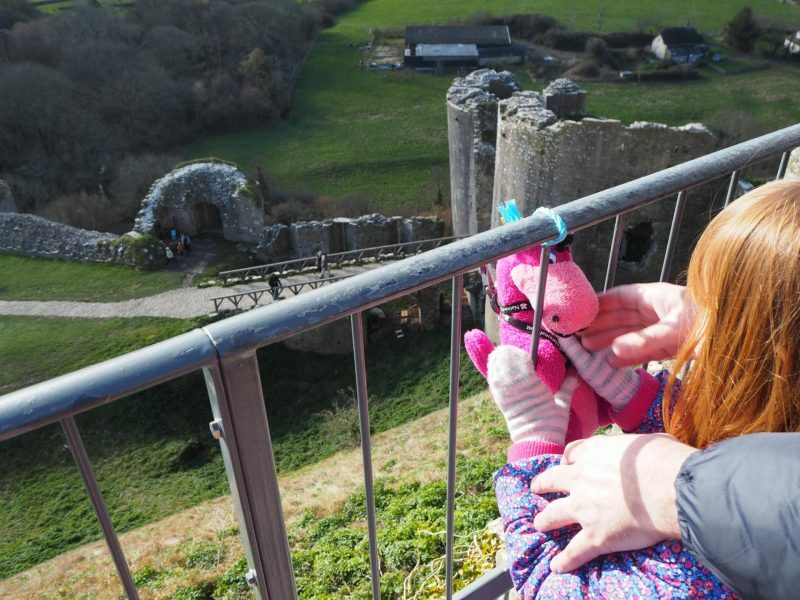 There was a children’s tent just as you arrive inside the Castle grounds and they have a teddy bears zip wire, where you can pick a teddy bear which is wearing a harness and then when you get to the top of the castle there is a zip wire to hook it on to. The girls (and I) were very excited about this. There was also an activity for children, where you had to find the shields and answer 6 questions to get a prize. With the girls chosen teddies in their arms, we headed off. 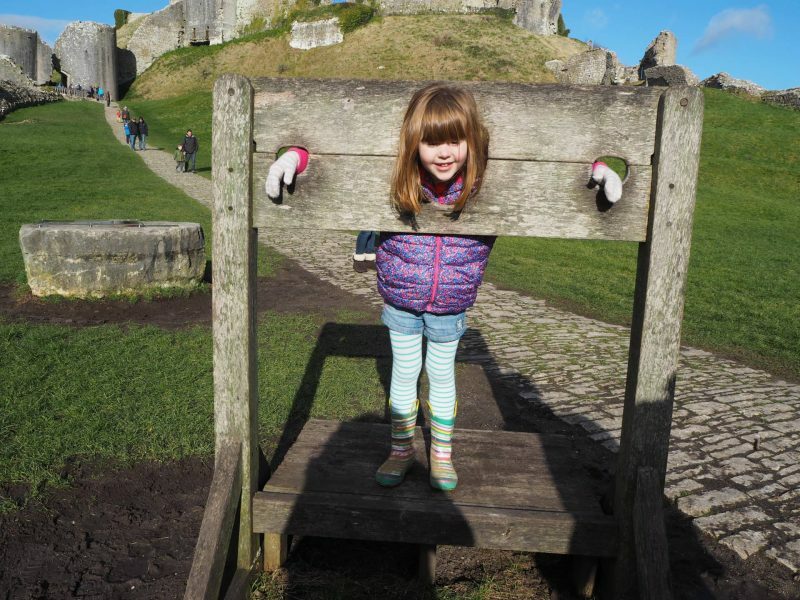 The first thing we came across was the stocks which Alice remembered from our trip to Oxford Castle and couldn’t wait to have a go. I love visiting castle’s, especially ones that are just a ruin. There are places to climb and I remember how much I loved it as a child. 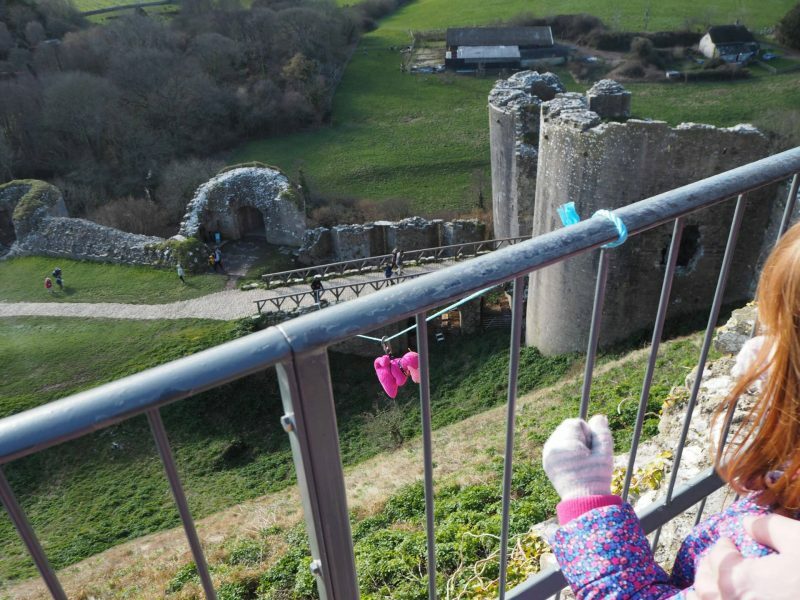 The girls wanted to head straight to the zip wire area, which is basically a piece of rope from the top of castle to the bottom. You hook your teddy on and watch him go. I genuinely think this is a brilliant idea, so simple yet exciting. 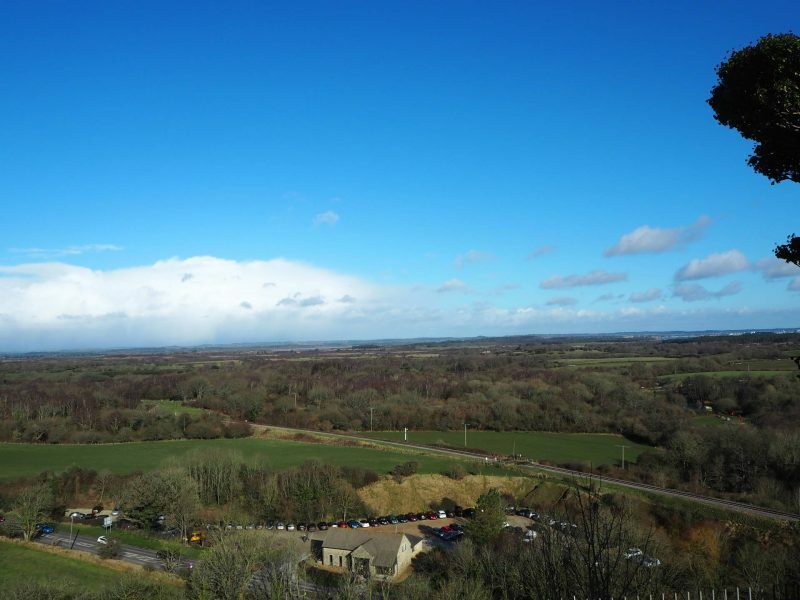 It was a really lovely crisp winters day, but don’t let those gorgeous blue skies deceive you, it was quite windy up there! As we made our way around, Alice was looking out for the shields ready to find the answers. I love activities like this as it keeps their interest as you go around. I can’t get over the beautiful views we were treated to, you could see for miles it was a gorgeous clear day. 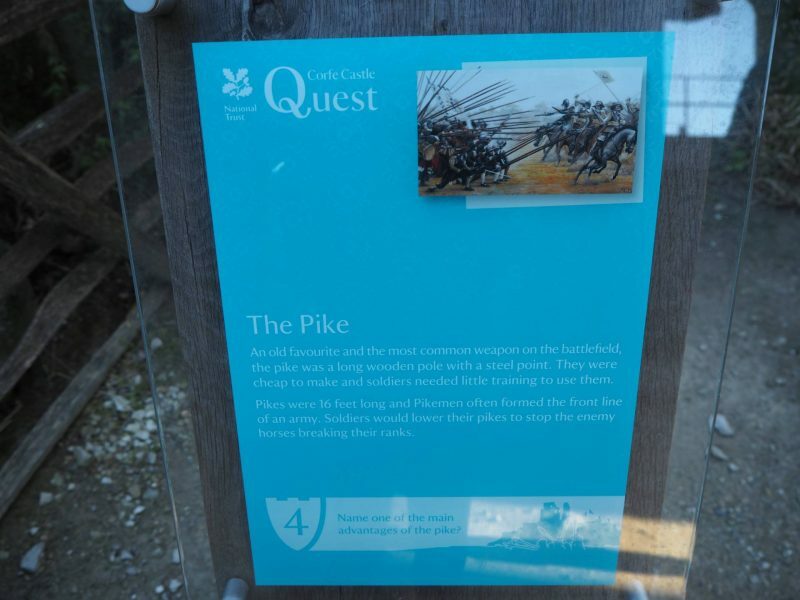 As were finding the shields and reading the information to find the answer we needed, it was interesting to find out more about Corfe Castle. My little crazy girl asked me to take this photo, I couldn’t love her more! We started to make our way back down, looking in all the different snooks and crannies along the way. 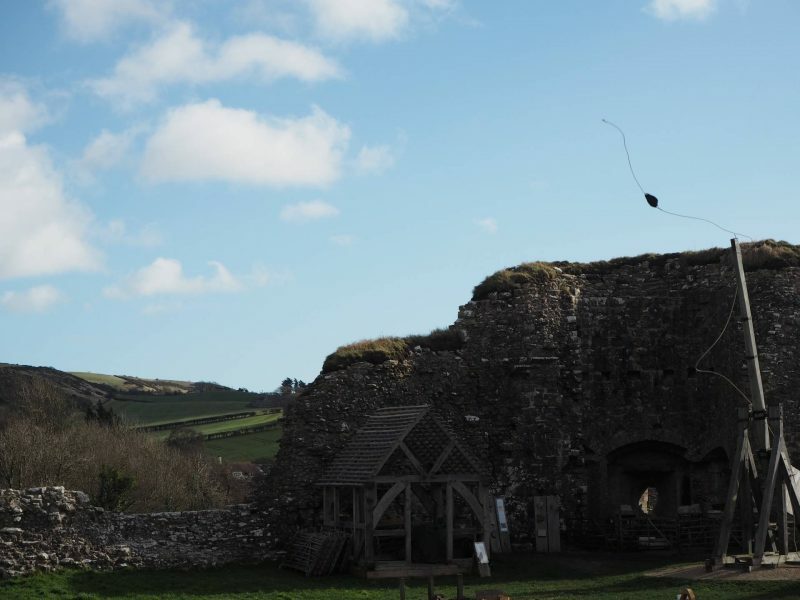 As we got back to the bottom we were just in time (literally) to see them shoot the catapult, I only just caught it on camera! It had been restored recently and it was lovely to see it working. 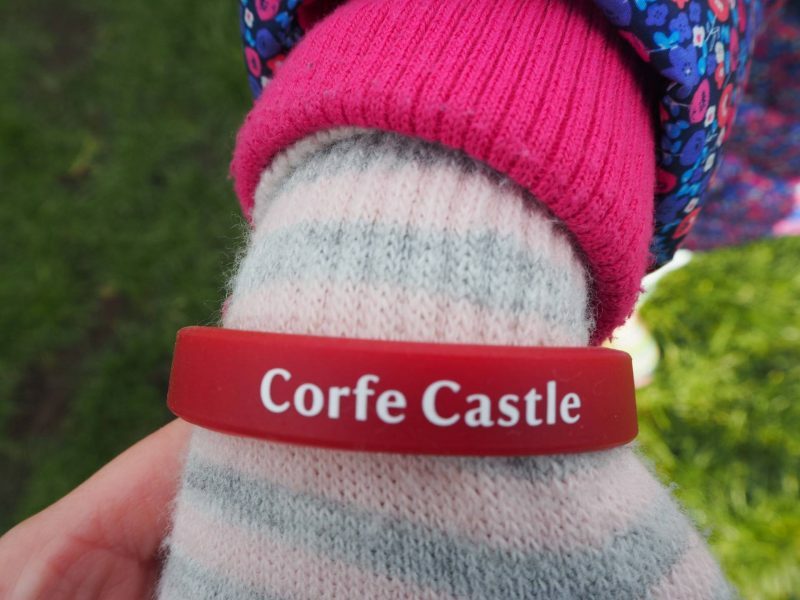 We then went back to the children’s tent with our completed activity and the girls were excited to receive a Corfe Castle wrist band. A lovely keepsake of our day. 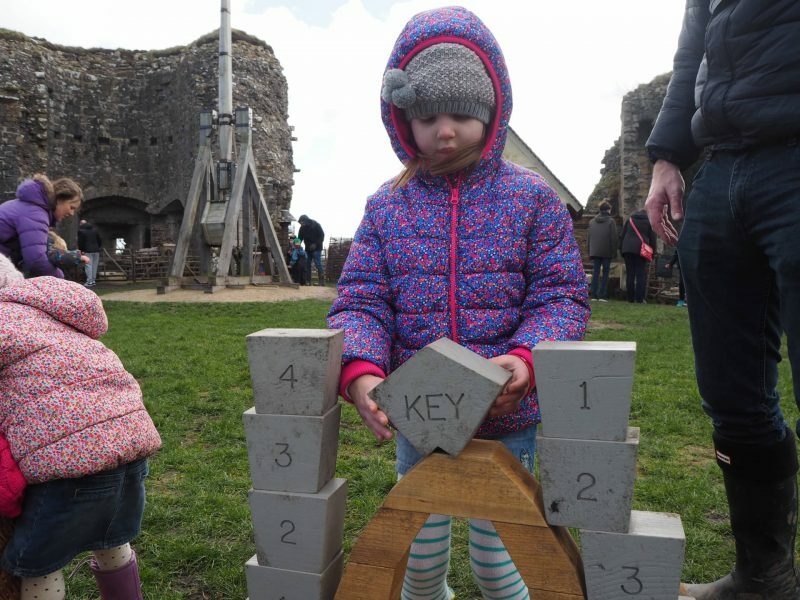 There was a few castle models that you could build, which the girls enjoyed doing. 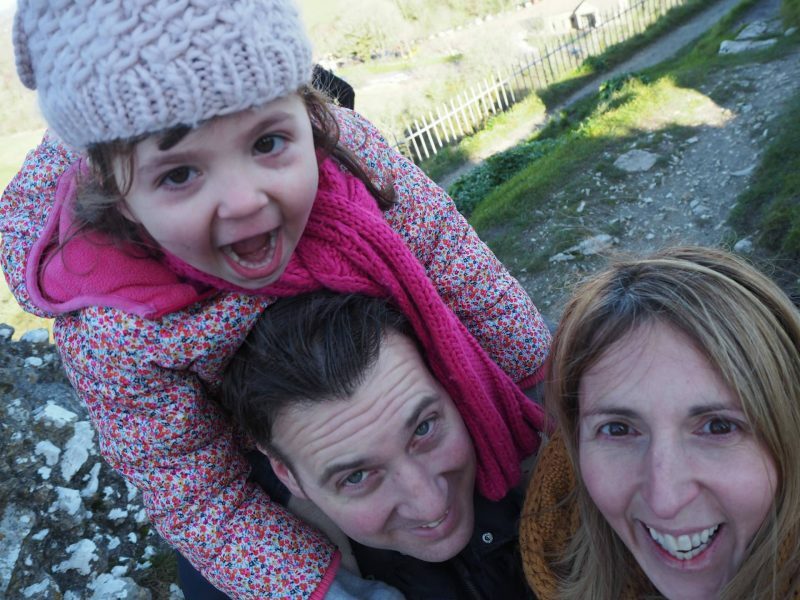 We had a wonderful time and we headed back down into Corfe Village where we went for a cake and drink in the National Trust cafe, always a must. There was a cute old fashioned sweet shop, which I just had to visit. There are a range of shops and accommodation too, if you fancy staying there. 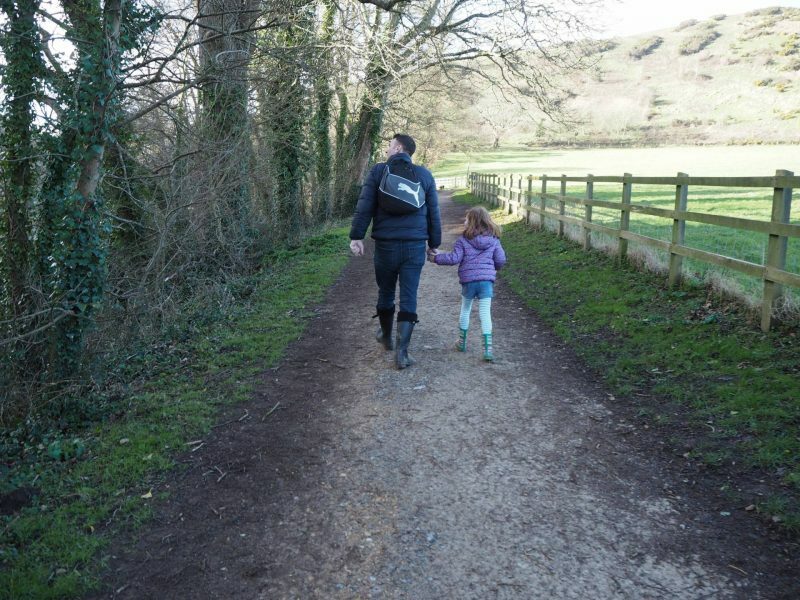 Before we visited Andy had read a few reviews on Trip Advisor to say how dangerous it was for small children and places they could fall over the side. It nearly put us off going, but thankfully decided we would give it a try. I’m really glad we did because not once did we feel it wasn’t safe for the girls and I’m a bit paranoid about these things. There were railings where you would expect them to be and it’s all about being careful, like you would anywhere. 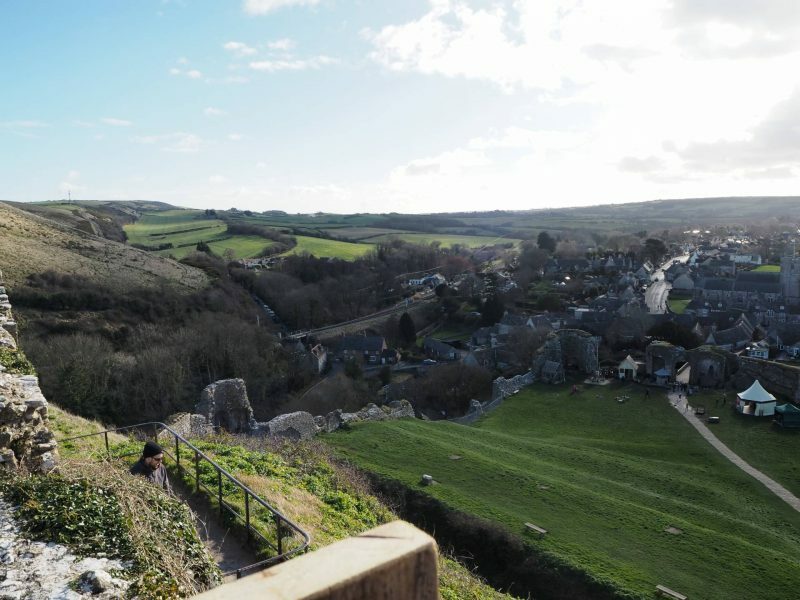 We spent the whole morning at Corfe and it was just as beautiful as I thought it would be. We then jumped in the car and headed to Weymouth Sea Life Centre. Disclosure: We weren’t asked to write about our trip. 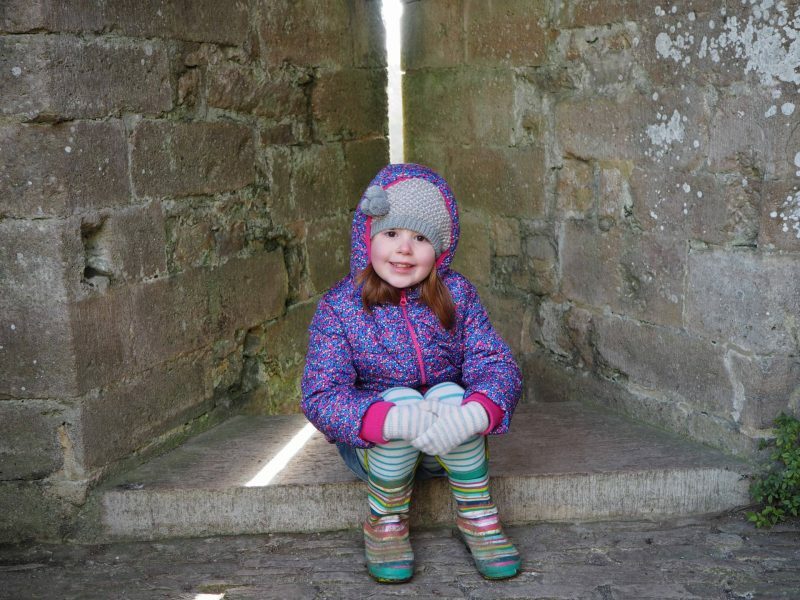 We just love a trip to the National Trust and wanted to share it with you. This looks lovely. We’ve driven past to go to Swanage loads and always been really dismissive of it because it’s some ruins, but it actually looks really nice. We’re heading down to Dorset in April so might have to visit! 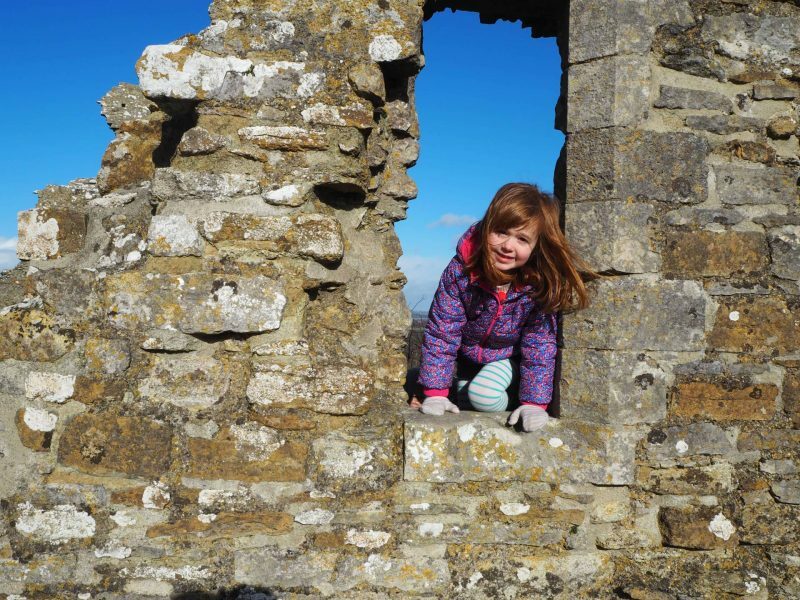 I also loved visiting castles when I was younger too and funnily enough Corfe Castle was one of the castles I visited when I was in year six. I remember we had a week in Perbeck with the school and that was one of the places that we had visited. This looks amazing, I love the look of the activities too. 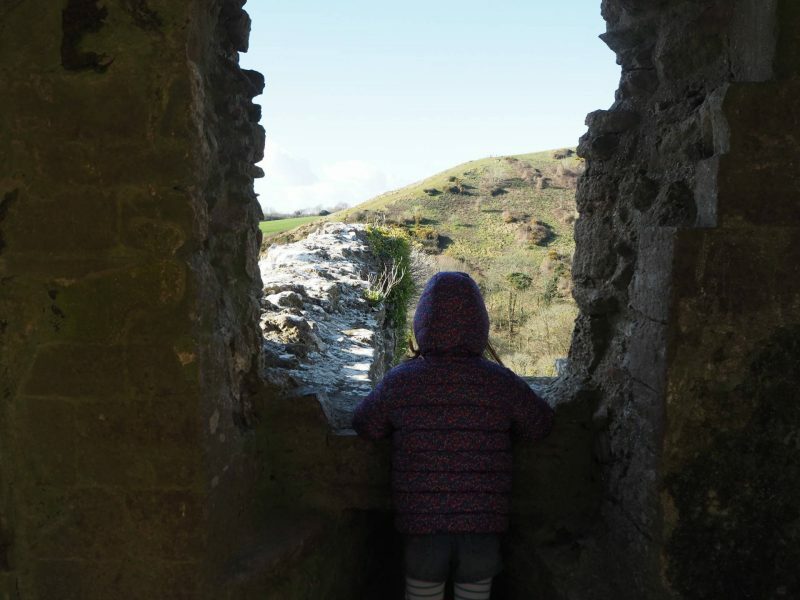 I really need to check out some near to us National Trust sites as I feel like we are missing out! Oh this looks beautiful. I LOVE the teddy zipwire, what an amazing idea. Ah! I so jealous you got to visit a castle, I’ve never been to one before. 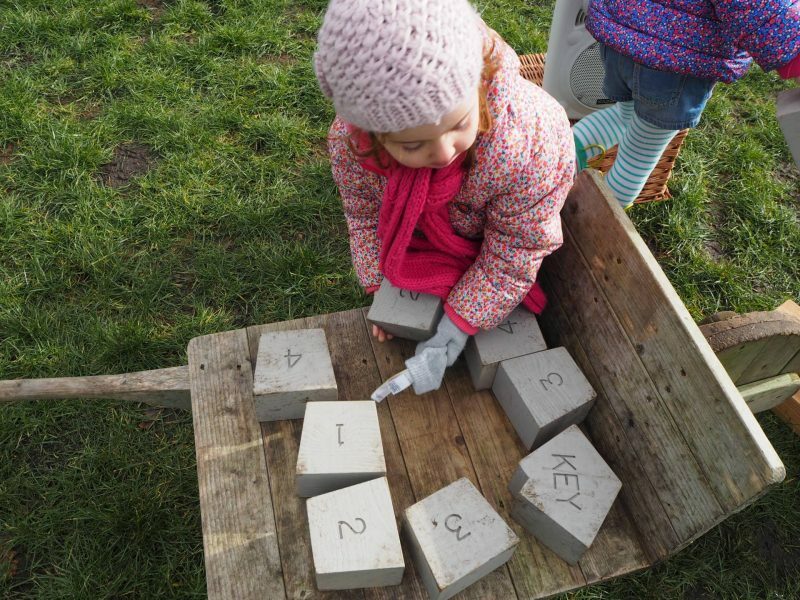 Looks like loads of fun, thanks for sharing! 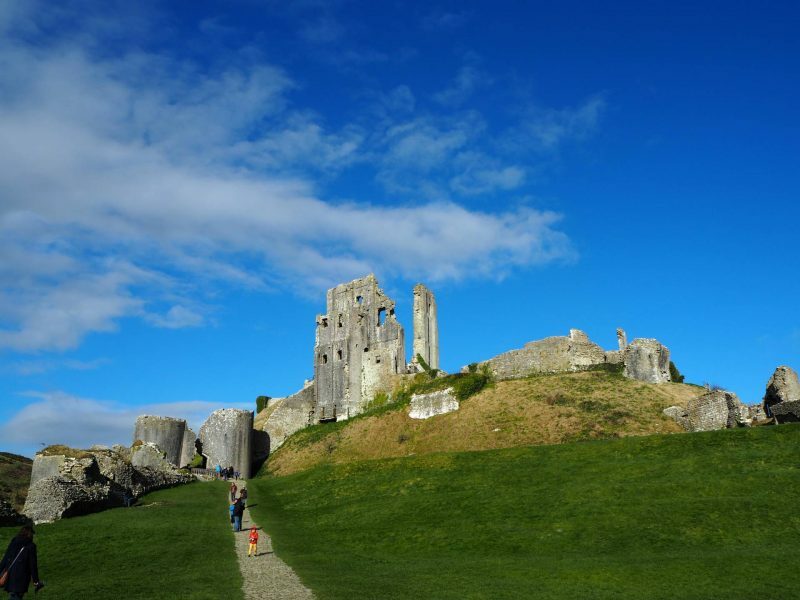 I love the look of Corfe Castle. We were down that way last year and unfortunately didn’t manage to visit. 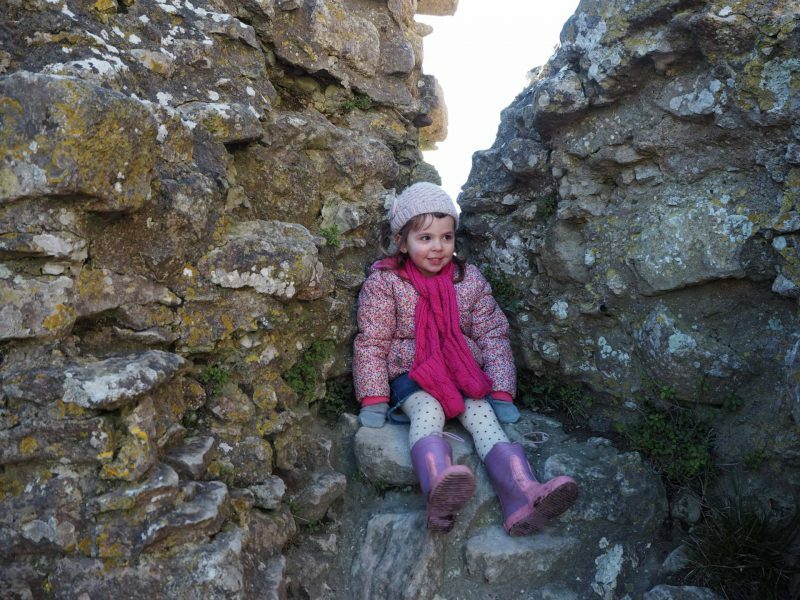 It’s definitely on our list for this year, especially as we are National Trust members as well.